Over the last several weeks, our customer support team has been following up with a number of clients to assemble feedback regarding their Storm Alert service experience this past winter. We appreciate the conversation with those we have spoken to and look forward to touching base with many more this spring. If we have not contacted your company yet and would like to provide your feedback, please submit your request here and we will make it a priority to contact you shortly. You can also join our customer insight mailing list if you would like to participate in our focus group related to new product offerings and improvements in our existing products. Our communication with clients has always been a priority of our staff over the last 33 years. We strive to maintain our 97% client retention rate and truly appreciate your continued support and partnership each year. All of your suggestions are thoroughly evaluated and assists our software development team in determining improvements to existing products and allows us to expand our offerings into new products. While chatting with clients over the last month, there were a couple common themes evolving around the components of our Storm Alert service, which we feel is important to elaborate on below. 1. 24/7 UNLIMITED PHONE CONSULTATION - Effective communication with our clients is a priority! As a Storm Alert service client of WeatherWorks, you have the greatest benefit of unlimited 24/7 access to speak with a meteorologist covering your specific forecast region. 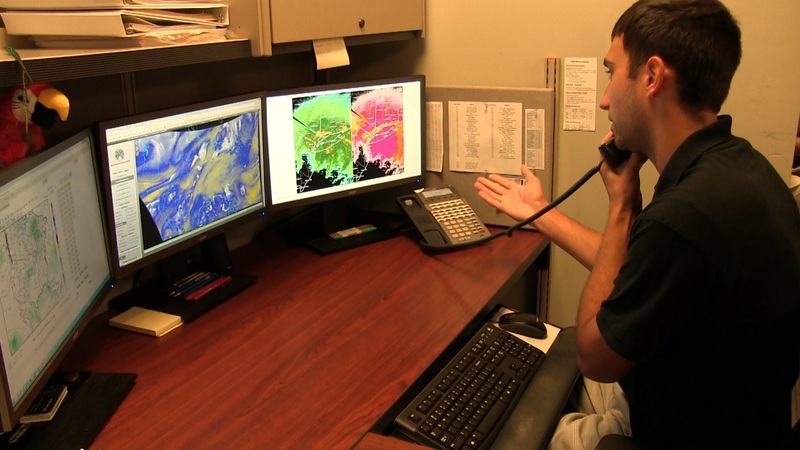 If you have a question regarding the forecast, need to make an important decision for your crews, or just require a more real-time weather update, give us a call anytime at 908-850-8600. Just like when we get to meet you in person at a conference or expo, the best way to get to know you is by speaking to you. Therefore, we highly encourage you to call the next time you need to make a weather related decision. 2. 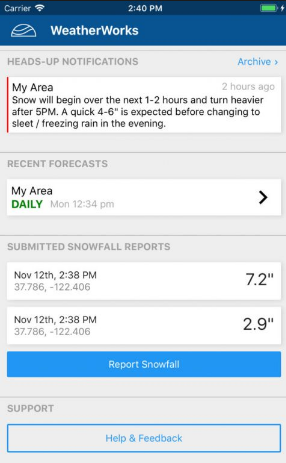 WEATHERWORKS SMARTPHONE APP - Launched in late November 2018, the initial release of our free mobile app was designed as a convenient way to consume our forecasts / Storm Alerts, heads up notifications and report snowfall accumulation to our snow spotter network all within one platform. Our app can be downloaded from the Google Play (Android) or Apple Store (iPhone) using the keyword search, 'WeatherWorks'. Once you link your device, you should login to your account at www.weatherworksinc.com and apply contacts to both Forecast Settings under the Storm Alert heading, as well as set your "Heads Up" Notification method to "App" and then apply the contacts. We have many new exciting features planned for our app in 2019 and beyond, which includes quick access to Certified Snowfall Totals® for your zip codes, graphics, audio alert options and much more. As we continue to enhance the WeatherWorks experience, we always welcome your feedback and suggestions so that we can make sure that our clients' needs remain our top priority in product improvements and the development of new services. Please do not hesitate to contact us by phone or email anytime. We wish you much success this spring and summer.